You will need to choose the number of columns for your WordPress website. Most websites are laid out in columns that span the width of the visitor’s computer screen and rows that span the length. When you develop a plan for your website design layout, you need to decide how many columns you’ll use to display content. A website that uses a one-column layout has one column that spans the full width of the computer monitor, whereas a website that uses a four-column layout has four smaller columns that span the width of the screen. Most layouts are anywhere from one to three columns, with each column holding different types of content, such as blog posts, navigation menus, advertisement banners, and so on. A two-column layout is the most popular, followed by a three-column layout, and in some cases, you do see a one-column layout. The answers to those questions help determine how many columns the website needs to cleanly accommodate and present all the different content to website visitors. You want the website to have a clean and organized feel, as well as make sure it’s not too cluttered and confusing to visitors. If you have a lot of content to display, consider using more columns to present the content in an orderly way. Here is a one-column layout. 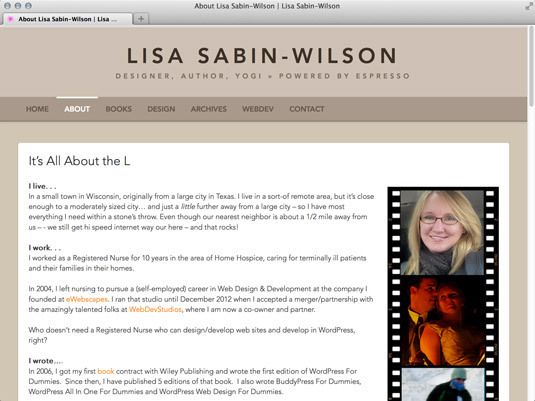 An example of a one-column layout at lisasabin-wilson.com. Check out this two-column layout. 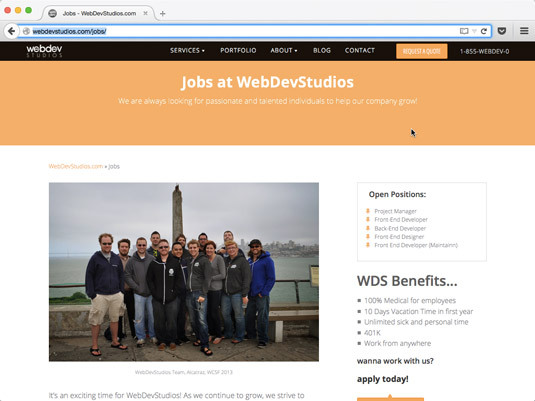 An example of a two-column layout at webdevstudios.com/. Here is an example of what a three-column layout would look like. An example of a three-column layout at safemama.com.